There’s a whole lot of wizarding going on in this joint! I watched a lot of movies this week, but most of them were in an attempt to prepare for the release of Harry Potter And The Deathly Hallows: Part II, a worthy cause I’d say. I had problems with Newsies beyond its glorification of New York. The New York stuff is a personal bias, and honestly it very rarely affects my actual enjoyment of a film,. I just don’t like the idea that New York is some great city worthy of eternal praise, I’ll gladly take Chicago in its stead thank you very much. My personal bias aside, Newsies is very much the work of a director who has an idea but can’t quite get there. The similarities to High School Musical are obvious, but Newsies is stagy whereas High School Musical was not. The stagy nature of the film was a hard barrier to get past, when the kids are singing about their hardships I kept wondering why they didn’t just walk off stage and visit the lunch cart. Kenny Ortega would eventually move past the stagy feel, and fine tune the songs, but not for over a decade. So much pop culture overload, this movie doesn’t know when to stop. The pop culture references start from the first frame and they continue all the way through the credits. Pop culture references aren’t enough, a movie needs to be funny and interesting, not just be a lunching pad for references to other things. Donkey and Puss In Boots are funny, but they aren’t the focus, the nonstop stream of pop culture references are and that makes for a middling film. Far Far Away Idol is a perfect indication of how desperate the Shrek franchise is to be culturally relevant. Humor doesn’t matter, jokes don’t matter, all that matters is product placement and shout outs to pop culture. Far Far Away Idol isn’t funny, it isn’t interesting, it isn’t even a movie. Far Far Away Idol is a commercial for American Idol, and it’s a terrible commercial to boot. That Mel Gibson sure is a charmer and a half. I know the man has a lot of off screen issues, but on screen he can bring it. His comedic timing is superb and he knows how to connect with the camera every second it’s on him. I’m not willing to say that Gibson saved What Women Want, but I do think he helped to elevate it a bit. Nancy Meyers will never be a director I consider great, but she knows her audience and she knows how to make a charmingly good picture. The jokes are simple, the worldview is simple, but What Women Want overcomes those faults because of a charming cast, some laughs and a good old fashioned story. I have to give whomever did the casting for this franchise a lot of credit, because even when the films falter the actors pull the viewer through those moments. My favorite in Harry Potter And The Sorcerer’s Stone was easily Rupert Grint as Ron Weasley. He’s such a goodhearted kid, and the facial expressions he brings to each scene often override the need for dialogue. I could go down the casting list for Harry Potter And The Sorcerer’s Stone and there isn’t a single name that I have qualms with. This makes up for a film that is too long in the tooth, has some bad CG moments, specifically anything involving Quidditch or flying, and has a story that never moves past being okay. All those problems aside I still enjoyed the film, I had a fun time with it, and I greatly enjoyed visiting this world again. The CG is remarkably better, the characters are just as great and the world is a breath of fresh air to take in. At the same time, Harry Potter And The Chamber Of Secrets is far too long for the story it wants to tell. It takes far too many detours and spends too much time expressing a point more than once. If the movie had been tightened up a bit and Chris Colombus had been more than adequate in his direction this could have been great. As it stands, Harry Potter And The Chamber Of Secrets is a satisfying meal but not as great as a trip to my favorite burger joint. The best of the franchise, Harry Potter And The Prisoner Of Azkaban is visually striking, compelling, rich, and whatever superlative one wants to to add to what I’ve already said. All that is right with the Harry Potter franchise can be found in this entry. Alfonso Cuarón creates a picture that is dark, funny, and witty. Out of all the films in the franchise I also think Harry Potter And The Prisoner Of Azkaban is the one that best uses the idea of fantasy, as illustrated by time turning, werewolves, and especially Buckbeak. Outside of some murkiness at the onset, Harry Potter And The Prisoner Of Azkaban is a thrilling & imaginative ride that I never get tired of. After the highs and wonderment of Harry Potter And The Prisoner Of Azkaban, this is one huge step back. On a visual level Mike Newell is one step above Chris Colombus but about a hundred steps behind Alfonso Cuarón. Where Newell fails the most is in presenting a cohesive story that doesn’t come across as episodic. The imagination of the world is still grand, the characters are still endearing, and I still loved visiting this universe. Harry Potter And The Goblet Of Fire did, however, feel extremely rushed and was full of too much bad, like the worst moment in the entire series, the introduction of the other schools. A return to form after the serious regression that was Harry Potter And The Goblet Of Fire. In this installment of the franchise all the elements that have been successful so far are still around and the story is back to feeling like a cohesive whole. Harry Potter And The Order Of The Phoenix is, so far, the only film in the series other than Harry Potter And The Prisoner Of Azkaban to push the boundaries of the world, both story wise and in a visual sense. Harry Potter And The Prisoner Of Azkaban is still the best in the series, but Harry Potter And The Order Of The Phoenix comes awfully close, it’s great shakes yo. Another step back after a step forward, my issues with Harry Potter And The Half-Blood Prince are two fold. First, I hate the lack of story or introduction for characters like Greyback (only reason I know his name is because my wife told me). These characters are supposed to be important yet we know nothing about them, who they are or why they are important. And I’m not saying they are supposed to be important because of the books, I’ve never read any of the books, the movie itself makes them seem important. Second, and this is my biggest complaint, I really detest the decision to make Harry into a complete pansy when the Death Eaters arrive for Dumbeldore. There were ways to get around that, the petrified spell that was introduced earlier in the film is one such way, but instead the film makers took the hero of the story and made him into a scared wanker. I don’t get why Harry reacts angrily after the attack is over and when everyone else under the sun is attacked, but not when the man he views as a father is attacked, it just does not work. Technically the movie is still great, and I loved going back to the world, but my problems with Harry Potter And The Half-Blood Prince are big, that’s why it’s near the bottom of the franchise for me. This is still great like I thought it was, but some of its flaws stuck out more this time around. Harry Potter And The Deathly Hallows: Part I isn’t afraid to spend time with its characters and to take its time doing so. The Harry Potter franchise is all about its characters, that meant I loved the leisurely pace at which the film explored those characters. The tension was high, the peaks in the story hit hard and everything was built to nicely. That doesn’t excuse the gaffes in storytelling or the badly put together action scenes. Harry Potter And The Deathly Hallows: Part I is book dependent, and that is not a good thing. It leaves entire plot points up to the knowledge that people have accrued in the books, as opposed to the film itself, that is just lazy writing. The action scenes are a pet peeve of mine, quick edits and shot in shaky cam so that it’s hard to figure out what is going on. The movie rises above all these flaws, but I wish those flaws weren’t present. Like many people I fell in love with the character of Harry Potter, watching his trials and tribulations was an engaging experience. Yet, now that the final film has been released ad all the dust has settled it’s clear to me that these movies were never truly about Harry Potter. No, no, no, I’m not crazy, I know Mr. Potter was the main character, but one look into a batch of memories and it all comes together to show that the series was about the hidden heroics of Severus Snape. It helps that Alan Rickman’s performance is sublime, his acting helps our time with Snape to rise to a level of investment by the viewer so high that when his redemption does finally come it’s a cathartic experience. Harry Potter And The Deathly Hallows: Part II still suffers from reliance on information from the novels that never actually appears anywhere in the films, but that’s my only major gripe with the film. David Yates’ fourth Harry Potter picture is an arresting visual film that plays with the usual pacing of action (action that was done far better than in the last installment) within an epic fantasy film to create an entirely unique and satisfying experience. Harry Potter And The Deathly Hallows: Part II is not the best in the series, that honor still belongs to Harry Potter And The Prisoner Of Azkaban, but it comes awfully close. There was very little chance for the movie of the week to be anything but a film from the Harry Potter franchise. I was first exposed to the film franchise, I just started reading the books as well, earlier in the year and this was my second go around with them. The franchise has its lows, but it’s mostly one giant high and I’m gladly putting it as my favorite long running franchise. The upper tier films are very close in quality, but there’s one film that was recognized as a game changer within the franchise upon its release and is still lauded by many as the best of the series to this day. 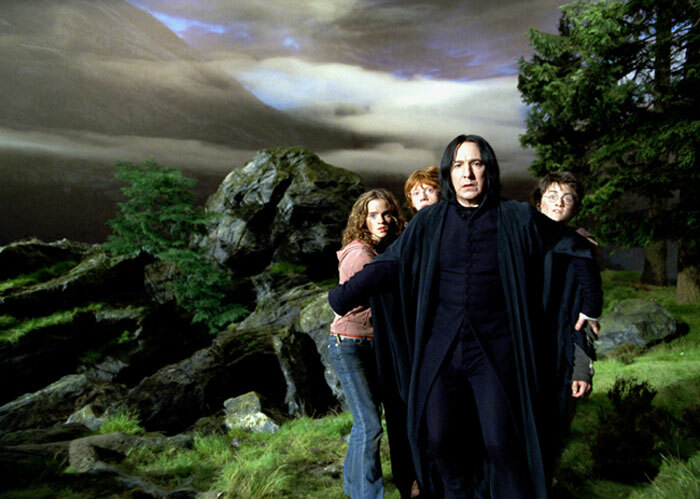 The movie of the week, and the best of the Harry Potter franchise, is none other than Harry Potter And The Prisoner Of Azkaban. No matter what it was a great week for movies and that always brings a smile to my face. This entry was posted in 1990s, 2000s, 2010s, Alfonso Cuarón, Andrew Adamson, Chris Columbus, Conrad Vernon, David Yates, Germany, Kelly Asbury, Kenny Ortega, Mike Newell, Nancy Meyers, Simon J. Smith, This Week In Cinema, United Kingdom, United States Of America and tagged 1990s, 2000s, 2010s, adaptation, animation, comedy, computer animation, creature feature, drama, fantasy, germany, literature, musical, newspapers, romance, sequel, short film, supernatural, united states of america. Bookmark the permalink. Whoever came up with the idea for What Women Want really hit a home run. I can’t think of a easier concept to write a comedy around than that. Cast it well and wham bam you’ve got a decent movie. Yep, it helps that Nancy Meyers has a naturally charming touch as a director. But the casting is really where it’s at, and despite all the legitimate problems people may have with him, Mel Gibson is well cast in this.